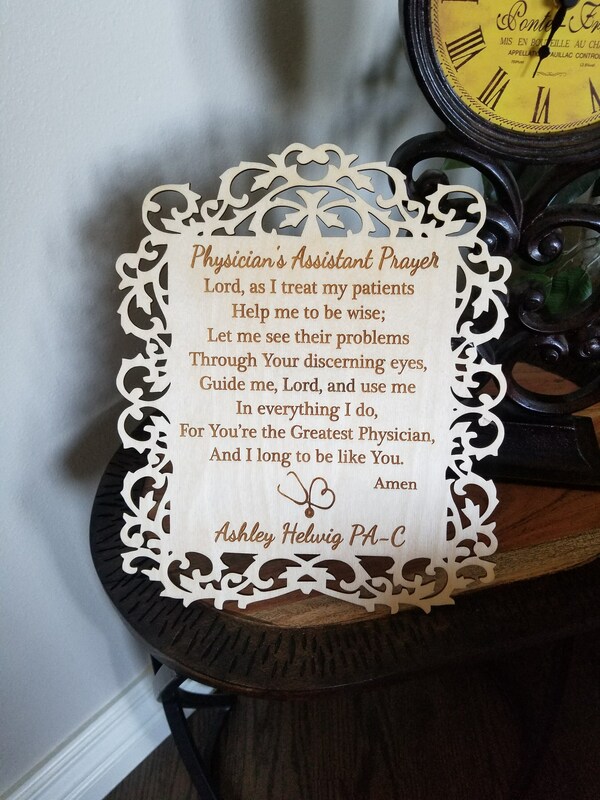 Looking for a special gift for the Physician Assistant in your life? 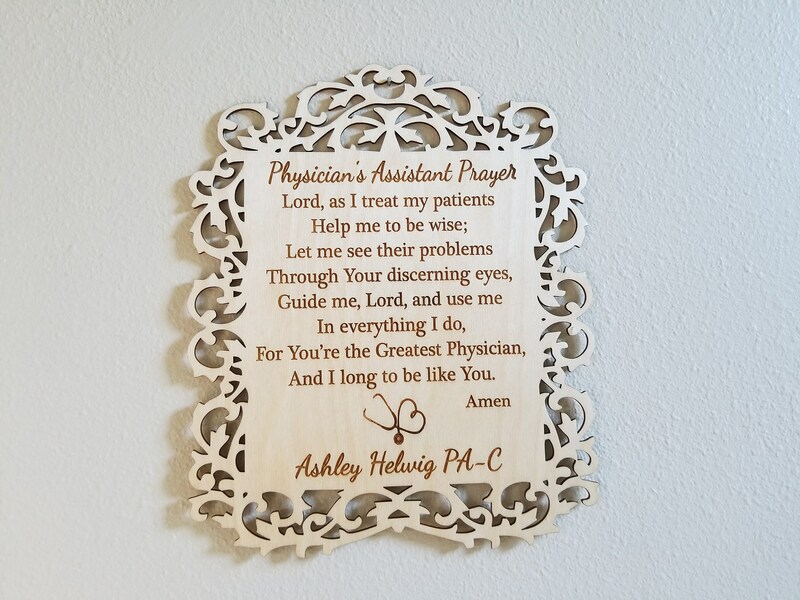 Our beautifully engraved Physician's Assistant Prayer wood plaque is sure to bring a smile to his or her face. 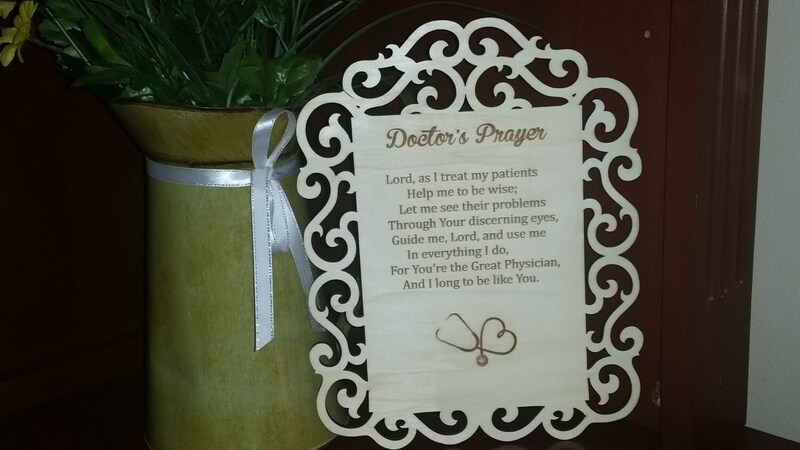 This plaque can also be personalize with his or her name underneath the stethoscope. Please let us know at checkout if you would like it personalized. Size: 11 inch long x 9.5 inch wide.